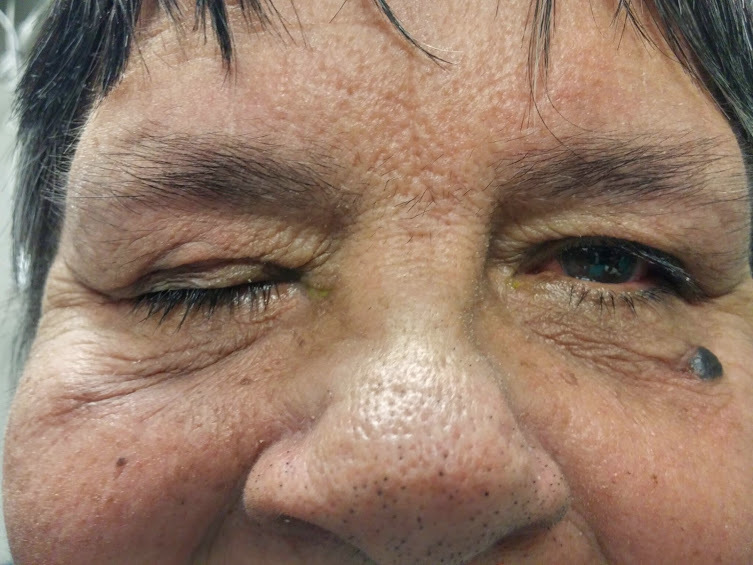 65 year old presented with complete ptosis of her right eye. On exam , she had complete lack of LPS action with (first photo) and restricted ability to look up or down. What questions do you like to ask? What is the most likely etiology? The question that needs to be asked is regards to the recent surgery. 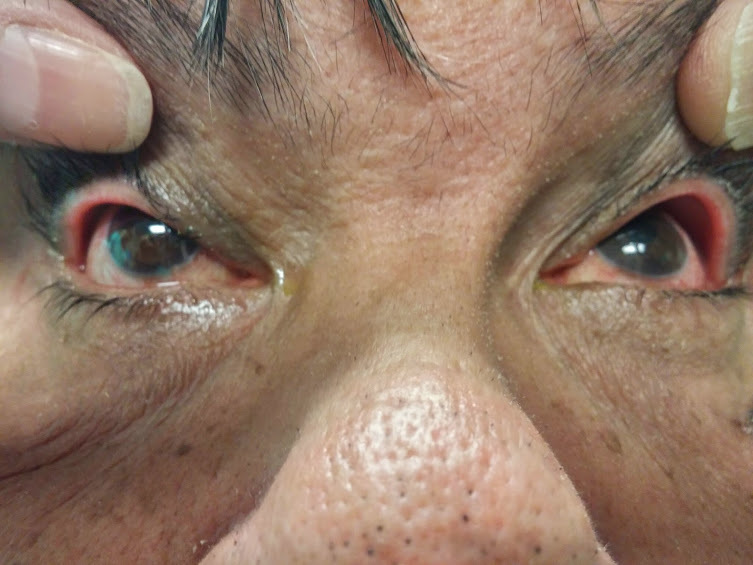 This patient had catarct surgery in her right eye 2 months prior to presentation. She mentioned that the drropy lid occured soon after surgery. Further questioning confirmed that teh surgery was performed following retrobulbar injection. The test that helps to confirm teh diagnosis in the clinic is the "forced duction test". An MRI can be orederd to image the involved muscles. This case most likely represents myotoxicity following injection of lidociane into the the LPS and superior rectus muscle. A forced duction test was performed and was found to be positive (meaning that the eye could not be pulled down) conforming the diagnosis. An MRI will be able to confiirm fibrosis of teh involved muscles.